Unique ornaments! Top a nifty gift box or hide these in the tree! 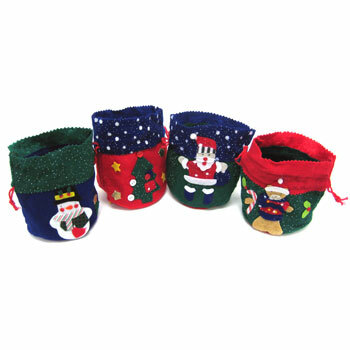 The pouch will be kept for more mementos long after Christmas day has passed! 5 ½” x 3 ½”. $10.05 per dozen for 18 dozen or more. $8.95 per dozen for 36 dozen or more.